Documentaries, newspaper and magazine articles related to our work and us. Articles from scholarly publications and reports from WHO, UNICEF, UN, etc. 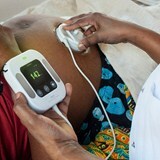 Moyo is an affordable fetal heart rate monitor designed for intermittant and prolonged monitoring in low-resource settings. 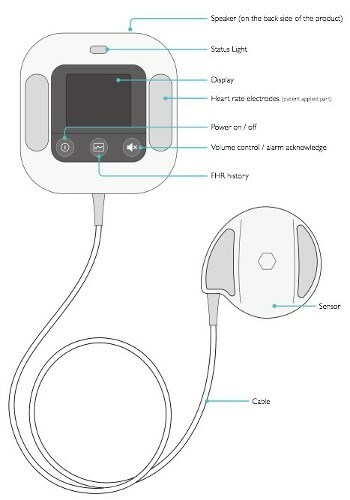 With a 9-crystal sensor, Moyo picks up fetal heart rate in a wide area and detects rate in less than 5 seconds. Moyo enables birth attendants to make appropriate obstetric interventions and eases the workload without interrupting existing routines. To increase reliability of the detected heart rate, Moyo also measures maternal heart rate. Moyo is lightweight and portable so the mother can wear and move freely. Moyo gives a visible and audible alarm for the health worker and/or mother when fetal heart rate is not normal. This unit is not available to be shipped to the United States. 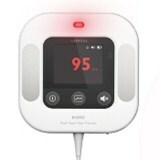 no detectable heart rate or heart rate <50 bpm displayed as "-?-"
No detectable heart rate or heart rate <30 bpm displayed as "-?-"
Laerdal Global Health has committed to offer our products on a not-for-profit basis to the 75 countries with the highest maternal and neonatal mortality rates. If you do not qualify for not-for-profit pricing, order from Laerdal Medical.